Ubisoft 30 Days of Giveaways – starting today, Ubisoft is gifting us games, wallpapers, discounts, holiday cards and other digital goodies. The list was supposed to be a secret with each day revealing one freebie. 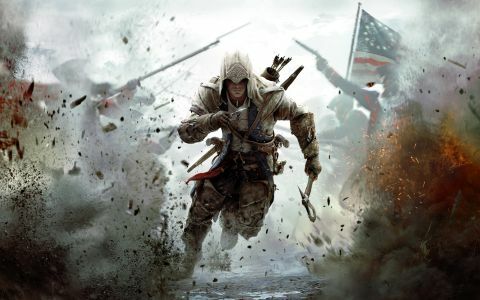 However it was leaked early – together with the final free Ubi30 title – Assassin’s Creed 3. You will be able to grab that freebie on December 7th for uPlay. Previous Ubi30 free games will make a comeback for one day, so if you missed The Crew, Rayman Origins, Prince of Persia or Splinter Cell, you will get another chance. You can still get Far Cry 3 Blood Dragon for free as Novembers Ubi30 free game. So nothing for Xbox. Well I’m done giving a crap about this already. Glad I got a list so I didn’t waste my time. Don’t mix Pc Master Race and Ubisoft together. I wish they didn’t leave “Beyond Good and Evil” behind. I also missed that in the Ubi30 games. yeah same. let’s hope it’s added as a surprise aswell. lol, Day 16 and Day 17 may have been switched, Today is the wallpaper. Day 17. I got Desert Recipes Today.